Joe Bucks, human, respectable businessman, clopfiction writer. To many, his works are golden, and has earned a large following over time. However, when a certain princess bookhorse takes him to trial, she is in for a rude awakening. DISCLAIMER: This is not meant to be a slam piece for clop writers nor cloppers themselves (I will go on record and say that I am both), this was a commission piece done for fun. In this alternate take, Opportunity continued to live on after 2018. In the days following Mark and his friend's launch, Sojourner waits for her new mission, killing time by dreaming. When her mother comes calling during one such night to tell her Oppy was about to die, how will she cope? And what discoveries will she make about herself? Everypony knew of the figure of speech, many young fillies and colts learning of it at a very young age when their pets passed away. It was a tale as old as time, and passed down through the generations. But what if it was not just a figure after all? When Perilous Peaks' most beloved villager passes away, young Strato must take his turn to help his closest and dearest friend pass on. This story is a Patreon Commission from Azeazezar. This is a side story to Magic in the Starlight. But all that changed when the changelings attacked. Flurry Heart and Chrysalis are the new leaders of the Crystal Empire while Cadance recovers from her heartbreak and revival. A lot of things lie ahead, such as getting changelings to be accepted while the two queens adjust to duel rulership. When an enemy threatens the very peace they hope to achive, how will they handle the daunting task ahead? Canonical side story to Penalt's "Twilight Learned" saga. Dashiel has been living in Princess Twilight's Equestria ever since her self induced exile from her home timeline. In that time, she has made great strides in moving on from her old life and settling down into her new society. This is an alternate take on Irrespective's "This Nose Knows". 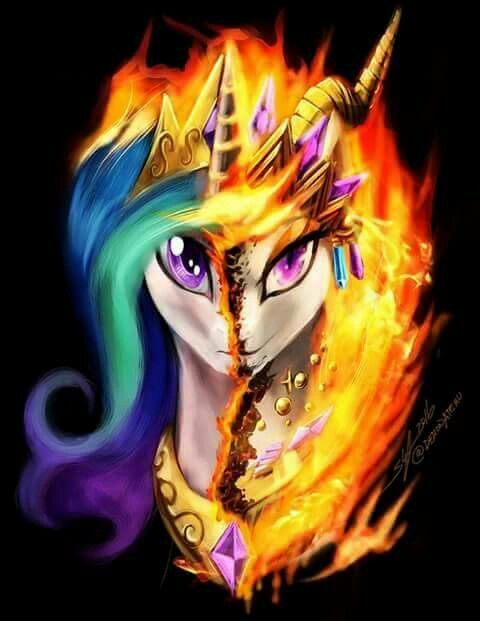 Celestia, after discovering that the Bean the search squads had found was a changeling, goes to the Flame of Destruction herself to strike a deal for his safe return. Problem is, Daybreaker needs some persuading. Luna-Moon has been reformed by the Elements of Harmony, with both Luna and Nightmare Moon now sharing the same physical form but their individual mindsets. Now, they have to adjust to life as ruling with Celestia, can they adapt or will they remain in the shadows? 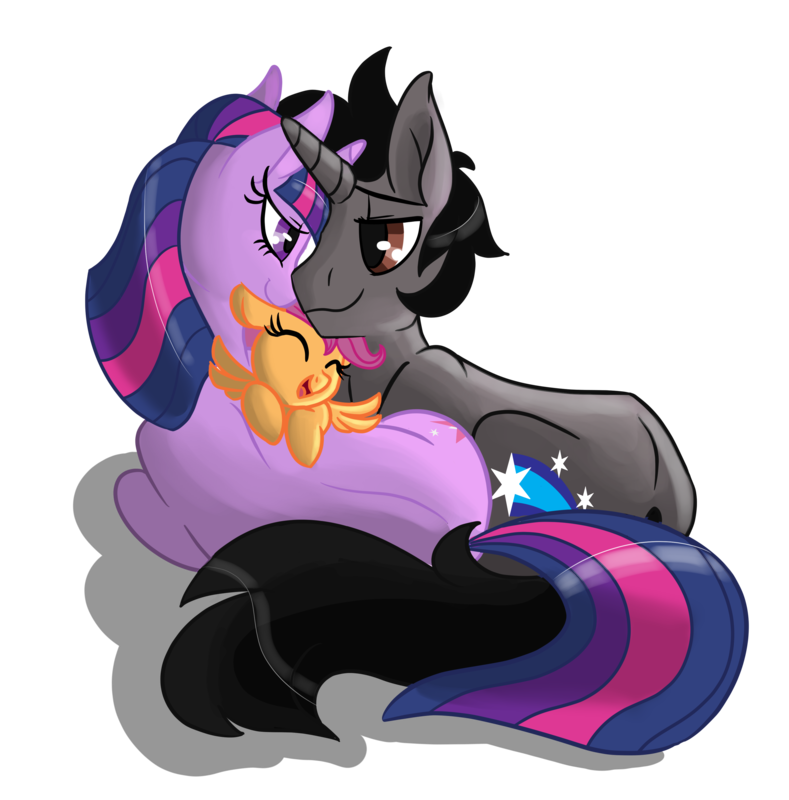 Since becoming the Princess of Friendship, and having to deal with saving Equestria every few months, Twilight has turned to the bottle. However, instead of late nights at the bar with Berry Punch, she has took up drinking bottle after bottle of hot sauce. Naturally, Spike becomes concerned, and when he arranges an intervention Applejack makes a mistake that could mean a choice between returning home or living their lives as pets. This story is a commish-request by Viper Pit. snuggling, and mentions of drinking.